The Line 6 Variax Bass 700 attempts to provide an all-in-one solution for bass players who require a multitude of basses. Instead of modeling a sound after-the-fact in your amp or effects, Line 6 has taken the creative approach of implementing modeling technology inside the actual bass guitar. 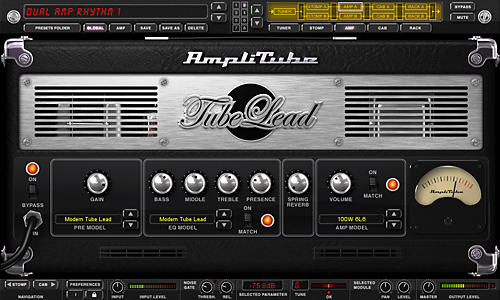 Before a signal leaves the bass for your amp, it is modified to match the sonic character of numerous popular bass guitars based on your selection. Is the Variax Bass too good to be true? The short answer is it depends. While the bass certainly creates some pleasing sounds, a pro-level player expecting exact models of classic instruments may be disappointed by the lack of truly authentic-sounding replications. The models are certainly representative of the intended basses, but they really don’t duplicate the sounds. Though Line 6 suggests the Variax Bass is all you need to bring to a session, the sounds just don’t live up to the studio half of that statement. But for bassists regularly playing in cover bands and wedding bands, the Variax Bass 700 offers great convenience – with so many tonal varieties on-board, it could be the only instrument you need to bring to the gig. With models that approximate the tone of numerous basses, this one instrument will enable you to substantially change your sound from one song to the next. If you don’t require the tonal variety of numerous different basses, though, you would be better off purchasing a traditional high-end bass. This is because if you do not use all of the tonal features of the Variax, you will be paying over $1,200 for a Korean-made bass with build quality and sound that doesn’t compare to traditional high-end bass guitars. The acoustic, eight- and twelve-string models are worth noting, though. For a bassist not planning to own one of these very-different bass instruments, the Variax Bass 700 provides a much less costly (or cumbersome) alternative to these instruments, plus it gives you some decent standard bass sounds as well. The bass sports a Stingray-type alder body, maple neck with a rosewood fingerboard, 21 medium-profile frets, 1.5" nut width (1.8" nut width on the five string version), 34" scale length, 10" fingerboard radius, and four piezo acoustic pickups in the bridge (five in the Variax Bass 705). It also contains a Digital I/O RJ-45 jack for future updates and additional sounds. Included with the bass is a well-padded gig bag, the XPS-DI Footswitch Power box, stereo instrument cable (required to use XPS-DI as power source), wall-wart power supply, Allen wrench, and user’s manual. The controls are as follows: volume, pickup blend, bass/treble, and the model selector. The model selector has twelve positions ranging from modern basses to acoustic/upright basses, and an LED on the bass ensures that you can read the model selection while performing on a dark stage. Each model selection possesses a second tonal variation for a total of twenty-four options (discussed in the sound section). The Variax allows you to save your EQ and pickup settings for each model (just hold down the model knob for a few seconds). Another interesting feature of the Variax Bass is that for basses that only have one pickup, the blend knob works as though it is physically moving that single pickup between the neck and the bridge. 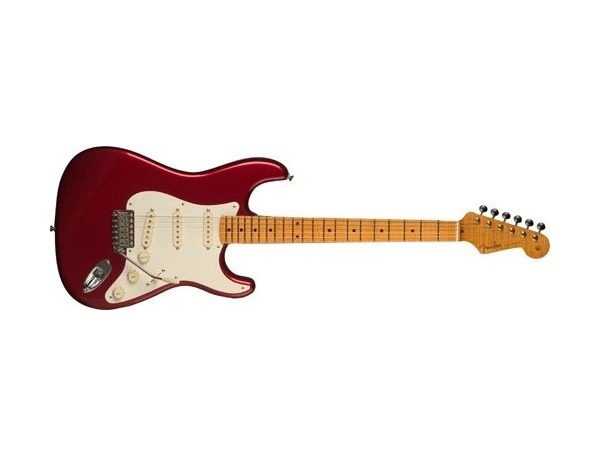 For example, if you are using the Manta selection, which is modeled after a Music Man Stingray, the middle position of the blend knob would be the traditional pickup position. Turning the knob towards the neck would move the pickup towards the neck, and moving the knob towards the bridge would move the pickup towards the bridge. 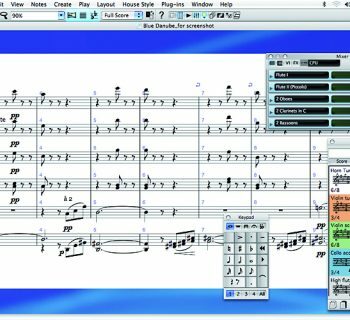 The Variax does not use MIDI. Rather, it uses the actual vibration of the strings through a piezo pickup in the bridge to create an audio signal that is then modeled by the digital components of the bass. This eliminates latency issues and produces more realistic sound quality. The Variax is very playable. It has the feel of a Stingray, with the big body and thicker style neck. Since it does not have traditional pickups, there is a long thumb rest that will help those of us who need it. We were able to select instrument models easily, and a colored LED let us see the names of the models etched onto the edge of a selector knob. Pressing the volume knob selects between the two models at a given setting, and the LED glows red or green to indicate which model you’re playing. The construction was not up to par with other basses in the same price range as the Variax Bass 700. 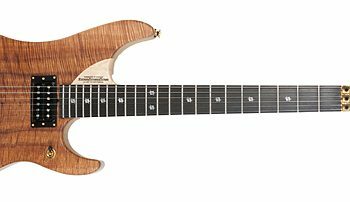 Really, the body, neck, hardware and finish all felt representative of instruments we would play in the $300 to $600 range. When you buy this bass, you are buying the technology and not the craftsmanship. Using a bass that contains digital components requires significant power. You have the choice of loading your bass with six AA batteries (which last 10-12 hours), a nine-volt battery (only 1-2 hours, for use in emergency situations), or you can use a stereo cable connecting the bass to the Line 6 DI box which will supply power on one half of the stereo wiring. A Planet Waves stereo instrument cable is included with the bass, and we chose to power our bass through the cable and DI box rather than deal with a mess of batteries. The Variax’s LED will give an occasional blink when batteries are low. Using the DI box was straightforward, and a nice feature of this DI box was that we could send a balanced or unbalanced signal directly to a sound board/mixer while a second signal went to your amp. If you are on the road a lot and consider yourself the hard-gigging road warrior, the DI box may not be a viable solution for a few reasons. Despite some metal wrapped around the bottom to add rigidity, it is chiefly constructed of plastic, and it does not feel nearly as road-worthy as Line 6’s popular effect stomp boxes. We didn’t experience any technical problems with the Variax Bass 700, but having such a technology-dependant instrument concerns us a little bit. We have no idea how much abuse the digital components can really take, and if there is a malfunction of the digital components, a local luthier may not be able to handle the repair. Judged purely as another bass guitar instrument, we were able to produce many pleasing sounds from the Variax, but if it is a specific modeled bass you hope to play, do not expect the modeling to be dead-on. Sonically, the Variax really didn’t give us the sound of twenty-four different basses. The type, shape and quality of wood in the body, neck and fingerboard, in addition to the frets and hardware, are significant components of what gives a bass its distinguished tone. If you play and listen to basses unplugged, you can hear significant tonal differences between them. The Variax seems to have trouble accounting for these different physical characteristics. 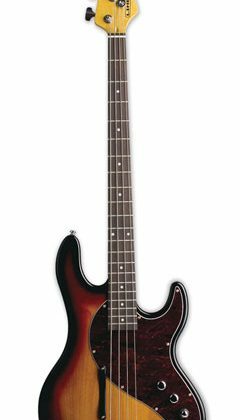 Because the Variax is just one actual bass, different models can sound similar, or like equalized versions of each other, and therefore not quite like the intended model. 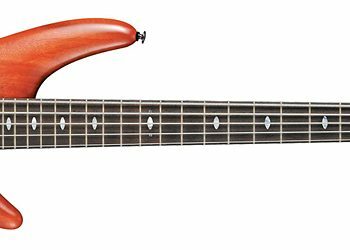 One of the most significant tonal differences was noticed with the Warwick Thumb Bass model. A true Thumb Bass is constructed from bubinga (or ovankgol) with a wenge fingerboard – very expensive wood. The body and hardware of the Variax do not react the same, nor do the strings vibrate the same way as they do on the Warwick. Hence, the Variax may have a scientifically accurate model of the Warwick, but it can only attain a similar sound. Our favorite sounding bass models were the jazz basses. All of the jazz basses sounded reminiscent of true Fender Jazz basses. There were four variations to choose from (two vintage and two modern), and we found them all quite usable. The eight- and twelve-string models were fun to play and sounded quite good. We didn’t compare these to the real things, so we’ll leave that up to you. Expensive instruments with very limited use like these would be strong selling points for the Variax for some players. We also enjoyed the acoustic bass and upright model. While a true upright player won’t be dazzled, the upright model was more than useful for our occasional use. The Stingray model disappointed us. We couldn’t even find it without looking in the manual because it sounded like a distant cousin of a true Stingray. This particular bass’ unique high end and in-your-face midrange growl just wasn’t there. At first the fretless just sounded like the Bass control was rolled off, so we cranked the treble and it sounded a little more realistic, but still not perfect. No matter how well it may have been modeled, it didn’t play like a fretless (because this guitar isn’t fretless), and we couldn’t create the true sound of sliding up and down the strings. Does the Variax Bass 700 actually have a model of the Warwick Thumb bass? The photograph in the manual is of a Warwick Corvette bass. While the sound resembled a deep Warwick tone, the deep growl was not as intimidating, and its unique “sound of wood” high end was nonexistent. This was a disappointment since Warwicks are extremely desirable, but very pricey instruments. The Synths seemed to experience latency issues and sometimes skipped notes altogether depending on our style of playing. Also, the Variax Synths seem confused by changes in dynamics. These sounds were entertaining, but not useable in any practical way. The documentation was useful – much more so than typically required of a bass guitar. The instructions were well-written and included useful (and important) setup and adjustment procedures. All of the modeled basses were explained and photos were shown of each one. But as mentioned before, the Warwick Thumb bass featured a picture of a Warwick Corvette bass, so we’re not quite sure what bass was actually modeled. The Variax Bass 700 ($1,680 to $1,750 based on finish) typically sells for just under $1,300. Even at $1,200, though, this is too high a price for the instrument. For anyone that is not going to use the plethora of tonal options, you’ll be paying pro instrument prices (because of the technology) but playing an intermediate-level instrument. Line 6 is currently offering a free Bass PODxt Live (typically sells for $400) with the purchase of a Variax bass, so if you happen to be in the market for this excellent bass multi-effects pedal board, it effectively reduces the price of the bass to $800, which makes it a much better value. None. The Variax basses are the first production modeling bass instruments available.